Looking for a quick and easy make ahead breakfast recipe? Easy Breakfast Muffins are perfect breakfast idea for busy mornings when you need breakfast on the go. Super soft (maybe even softer than this delicious Custard Cake), homemade muffins are much healthier than fast food, pus they are FREEZABLE! Also, these muffins are delicious brunch or after school snack for kids, even for picky eaters. Since they stay fresh and moist for a few days at room temperature, you can make ahead these delicious muffins. What’s more you can freeze these Easy Breakfast Muffins up to 1-2 months. As their name says, these Easy Breakfast Muffins are super simple, quick and EASY to make, but taste awesome. They are so soft, moist and buttery like the old-fashioned donut rolled in cinnamon sugar. If you’re craving sweet in the morning make ahead a batch of these and garb on the go. 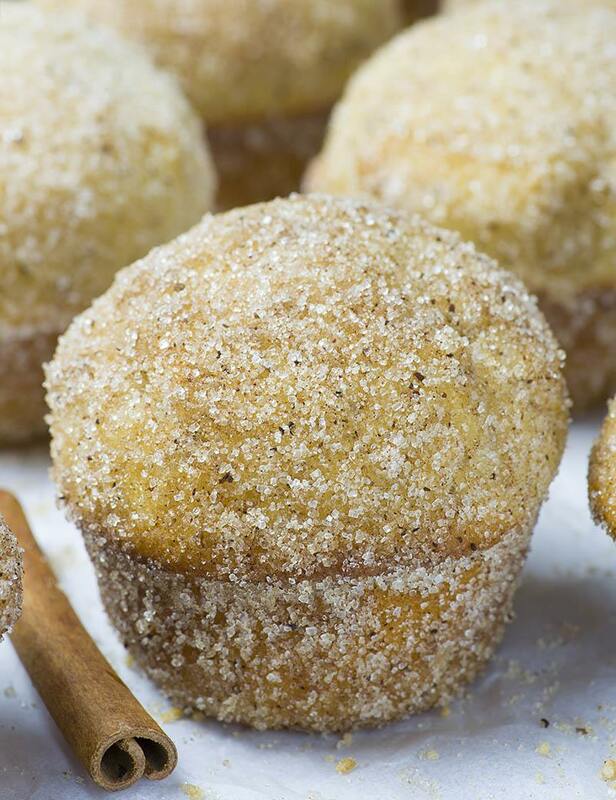 Easy Breakfast Muffins taste like your favorite Cinnamon Sugar Donut Muffins from the bakery. But you won’t have to stop by the bakery to pick up a muffin for breakfast or snack anymore. This easy recipe will save you time and many. Also, there is no need to tell you that real homemade food is way much healthier for you. Give these delicious and moist muffins a try! They are really tasty, soft, perfectly most and buttery. Moreover, these Easy Breakfast Muffins are coated with melted butter and cinnamon sugar after baking. 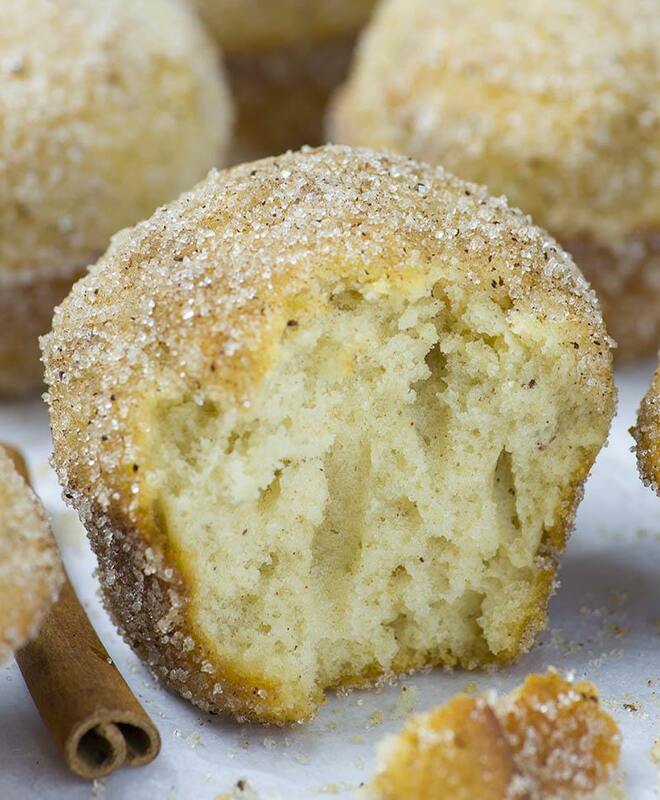 If you like Cinnamon Sugar Donut, try to say NO to these muffins!!! 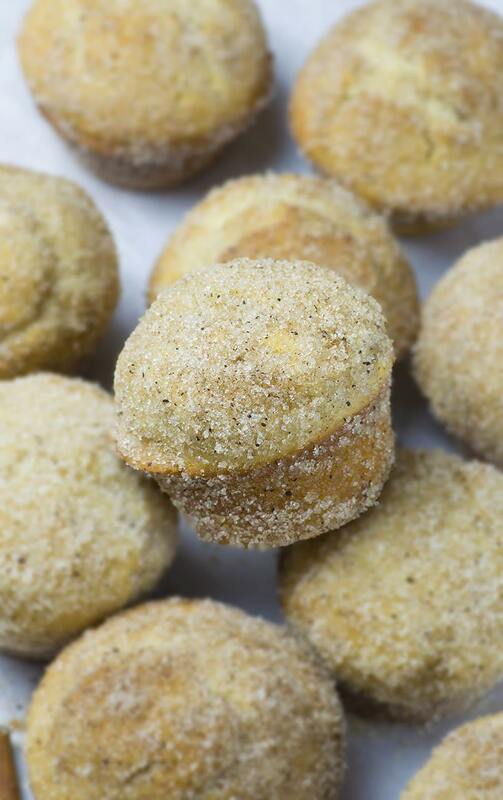 These are like Cinnamon Sugar Donuts in muffin form. Take a half an hour of your time and make a batch of these muffins and taste them. I’m sure you’ll love them. If you manage to save a few, store them in an airtight container and you will have a breakfast ready for busy mornings. Even better, make ahead a few batches and freeze for later. Easy Breakfast Muffins are perfect breakfast idea for busy mornings when you need breakfast on the go. Place the oven rack in the center position and preheat the oven to 425F. Spray standard muffin pan with cooking spray. This recipe makes 8 muffins. First, in a bowl stir together flour, baking powder, salt and cinnamon, set aside. In large bowl beat 1/3 cup softened butter on high speed for a minute. Add sugar and cream on medium speed. Then, add egg and vanilla mix just to combine. Now, add Greek yogurt and milk and mix just to combine, do not over mix. Stir in dry ingredients mix. The batter should be thick. Using large ice-cream scoop dollop the batter in muffin cavity (it should be 2/3 – ¾ full). Bake for 5 minutes at 425F then REDUCE THE OVEN TEMPERATURE TO 350 F and bake for 15- 18 minutes at 350 F until toothpick inserted in the center comes out clean. Coll the muffins for 5-10 minutes. For that time melt the butter and stir cinnamon and sugar in a small bowl. Brush each muffin generously with melted butter and roll in cinnamon sugar mixture.Place on a rack to cool completely. Store in an airtight container at room temperature for a few days or freeze for longer storage. Before using frozen muffins, thaw them in the fridge overnight and reheat if desired. These look great. Much better than the food my kids often want for breakfast when they’re in a hurry. What cream are we adding in step 3?? Hi, You don’t add any cream. “Cream” means beat on medium speed. Instructions are easily confused. I thought I needed to add cream, when I was supposed to use cream as a mixing technique. I also mixed my melted butter and sugar/cinnamon mixture, when I should have brushed melted butter and then dip/roll in dry cin/sug. DUH!!! Can I substitute Ricotti cheese for yogurt? Hi Louis, I haven’t tried with Ricotti cheese, but I think it could work. Let me now if you try. Great recipe I added almond extract the whole family loved them especially my picky eater!! !